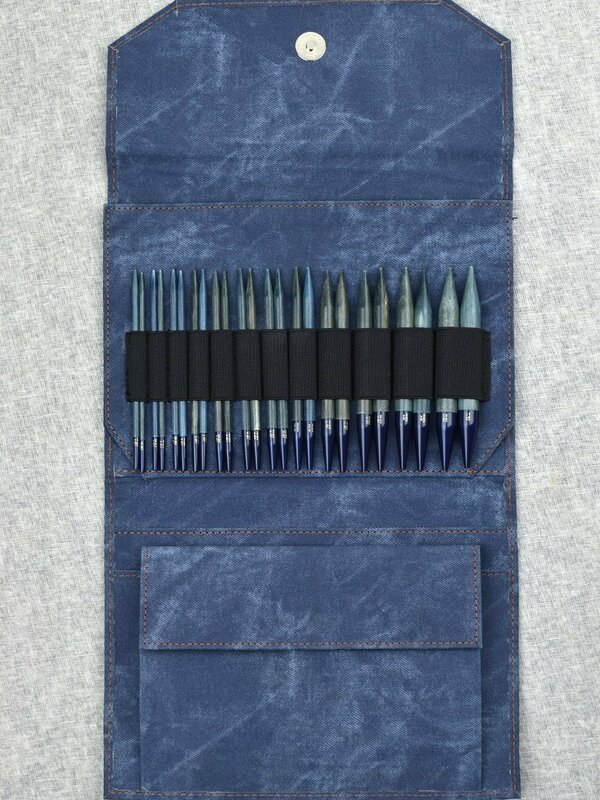 A full set of the gorgeous, indigo blue dyed, birch wood needles from Lykke, strong and light in a high quality, indigo blue case. 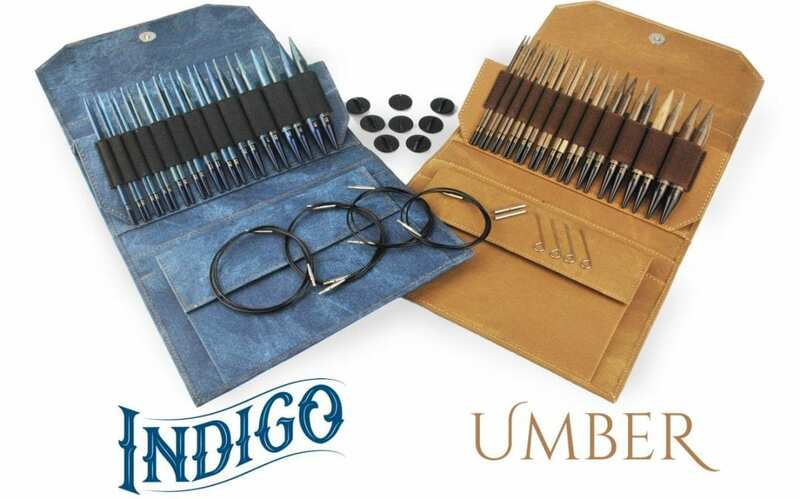 (Umber Sets available in a separate listing). 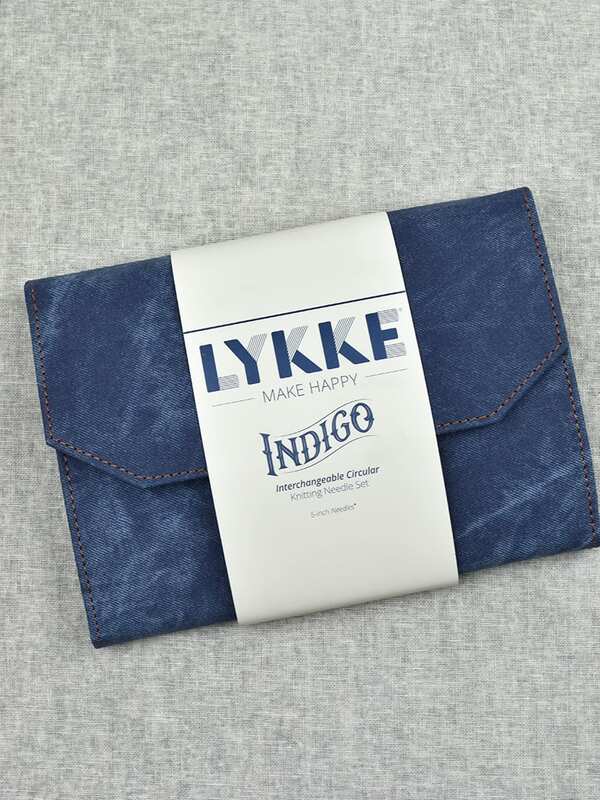 Named after the Norwegian word for happiness, LYKKE Crafts combine high quality materials and thoughtful design to produce beautiful, durable, happy-making knitting needles. 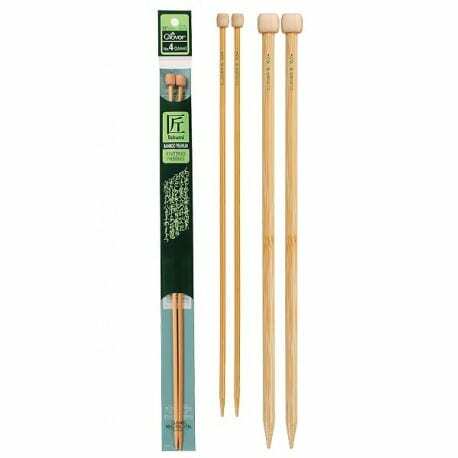 Made of strong birch wood, the LYKKE driftwood needles are very smooth and light. 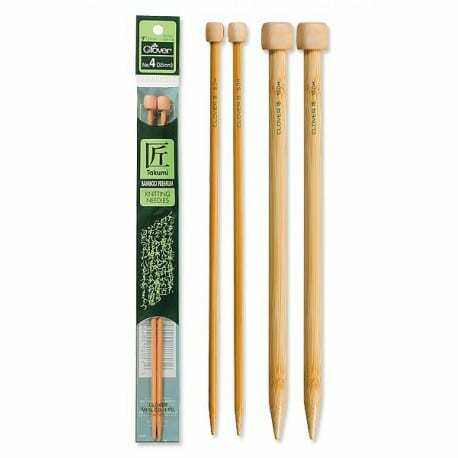 With their warm character, the Driftwood needles are easy on the hands and the eyes – a true pleasure to work with. 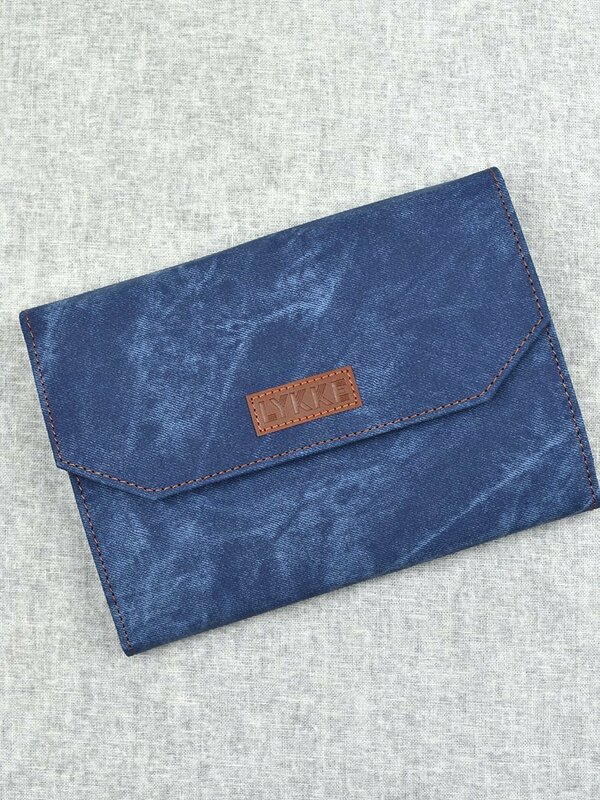 All LYKKE needles have both US and metric sizes etched on the needles to ensure long-term readability.